The term debt resolution isn’t difficult to understand, but it actually refers to a variety of different debt options. No one single resolution option works for everybody, and different financial states require different approaches. Knowing which one is right for you, or if debt reduction is the best solution for you at all, entails understanding the different options available, comparing the pros and cons, and considering your individual situation to determine the best solution. Credit counseling is an arrangement wherein you make a single monthly payment that gets split between all your creditors. These programs can reduce or possibly eliminate the interest you pay, all while allowing you to pay off your debts at a manageable pace. Debt settlement is when you negotiate with creditors to pay off an amount smaller than what you actually owe. Often the balance is due in full in a lump sum payment, but can also be satisfied by entering into a term agreement. So while your creditors don’t get the full amount back, they get a big chunk up front or a promise to make timely scheduled payments, and you end up paying less than you owed. Debt consolidation loans are loans that are used to pay off all your debts, and then you’re left with a single monthly payment and one interest rate to pay back. Bankruptcy comes in different forms, but it’s always a last resort because of the havoc it wreaks on your financial status for so many years. Moreover, while many people think of bankruptcy as a way to wipe the slate clean, there’s still a chance you’ll have to pay back unsecured debts. People who choose resolution are people who cannot manage their finances and their debts without help, are unable to make minimum payments, have debts that continue to grow, have little savings, and have so many debts that they lose track of what is due when. Credit counseling can work for people who have a steady income, because with this solution, you still pay off the full balance owing. This option can, however, negatively impact your credit score. Debt consolidation loans are good for multiple high-interest debts like credit card bills, but lenders generally only approve these loans for people with good credit. Settlement can work for people who may be behind on payments, who don’t have great credit or a not concerned with their score, and who would like to avoid bankruptcy. There are ways that you can attempt to control your debt without the help of a debt relief company, and your options include tracking spending, proper budgeting, and attempting to renegotiate bills on your own. If you have a mortgage, you may be able to refinance it with a lower interest rate. Proper tracking and budgeting may help you locate more money to pay off bills, but it’s important that you stick with your plan lest you find yourself in more debt. If you want to renegotiate your bills or refinance your mortgage, you’ll have to watch out for penalties, fees, and changed policies that could affect you. 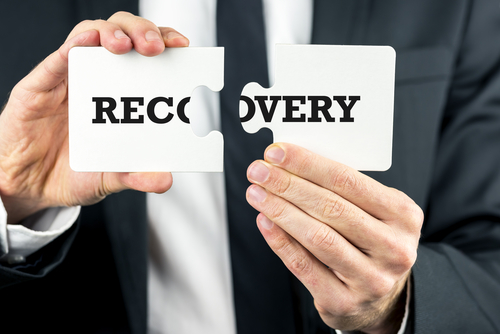 Debt resolution certainly isn’t for everyone who’s in financial trouble, but most people can, in fact, benefit from the services of a debt relief company. Not all the options are ideal, but a reduction company can go over your options, look at your unique situation, and make recommendations based on your individual financial state. The important thing to remember is that you do have options, and there are people out there who can help you make the right choices when it comes to your debts and your future. Net Debt seems to provide a Debt Settlement service similar to the A New You program! We can not speak to anything about their reputation however. Would you like to schedule a call with one of our analysts?